As a Cornell Cooperative Extension (CCE) professional, you are vital to the initiation and success of Farm to School programs. CCE has offices across New York State, research-based expertise in agriculture, nutrition, and community development, as well as program areas that align well with the goals of Farm to School. Farm to School programming supports CCE’s mission of putting knowledge to work in pursuit of economic vitality, ecological sustainability and social well-being. CCE and Farm to School are a natural fit, making it possible and practical to integrate Farm to School concepts into ongoing programming. Farm to School programs connect schools with local agriculture to benefit students, farmers and surrounding communities. 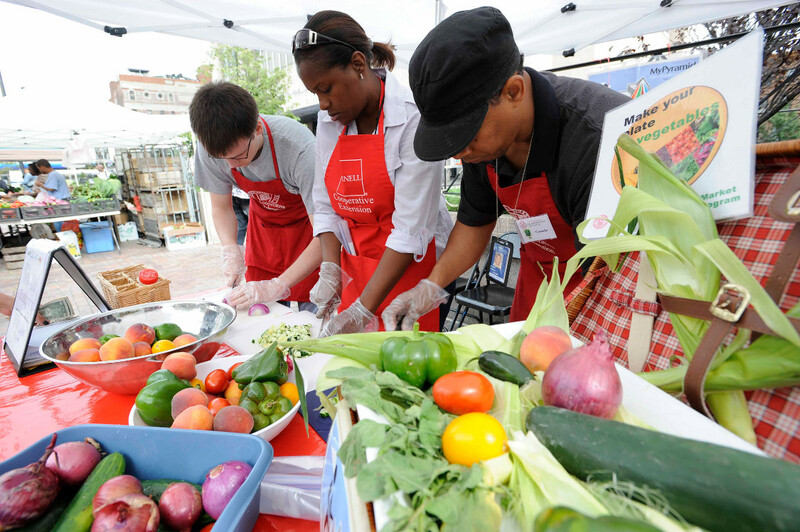 Students consume healthy, nutritious food and learn about local food and agriculture; farmers gain reliable markets for their products; and communities develop stronger economies. The following resources describe the operation of school meal programs, and ways that Extension professionals can help connect schools and farms, and integrate Farm to School programming into existing CCE efforts. Review Healthier School Meals: A Summary of the New USDA Standards for School Breakfast and Lunch by Food Research and Action Council and the National Farm to School Organization’s, Farm to School: A Tool for Success with the New Nutrition Standards, to understand nutrition standards for school meals and how purchasing local foods supports the new school meal requirements. Learn how school meal programs operate by viewing School Lunch 101 by National Farm to School Network and School Food FOCUS. Know that most school meals programs are expected to be self-supporting, without additional funding from school budgets. Find out what local foods school districts across the county, and throughout New York State, purchase, in USDA Food and Nutrition Service’s Farm to School Census and New York State Department of Agriculture and Markets’ New York State 2012 Survey of School Food Service Directors. USDA flyer How Cooperative Extension Professionals Can Support Farm to School Programs, and webinar series Farm to School + Extension. Form in-office teams of professionals with different expertise to facilitate programs and bring together farmers and school professionals. Implement Farm to School as part of EFNEP or SNAP-Ed programming to help change environments of low-income families to make healthy choices easier. Feature local food products in lessons or activities, and see pages 10-14 of USDA’s 2015 Supplemental Nutrition Assistance Program Education Guidance to consider how Farm to School programs fit within a social-ecological framework for improving nutrition and physical activity decisions. Emphasize local agricultural products in ongoing educational programs presented in school classrooms and/or afterschool programs. Contribute to development and/or maintenance of school gardens through Cornell Master Gardener and horticulture programs. 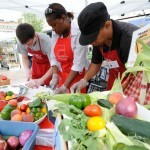 Focus on local products in programs designed to improve cooking skills or food safety practices. Emphasize local products in 4-H programs. Create a database of local farmers who are interested in selling directly to schools, and of food distributors who identify the local products they sell. Collaborate with farmers, school professionals and community members to leverage resources and apply for funding for Farm to School projects. Make Farm to School part of community events that celebrate agriculture or nutrition, such as harvest fairs or dinners. Highlight local Farm to School efforts or programs in CCE newsletters or on websites. Farm to School in the Northeast: Making the Connection for Healthy Kids and Healthy Farms is a comprehensive toolkit of resources for extension educators who want to help K-12 schools and colleges connect with their local food systems. It was developed by Cornell Farm to School Program, New York State School Nutrition Association, and New York Farms! with funding from the Northeast Sustainable Agriculture and Research Program’s Professional Development Program.